A big warm hello to all my video programming friends! 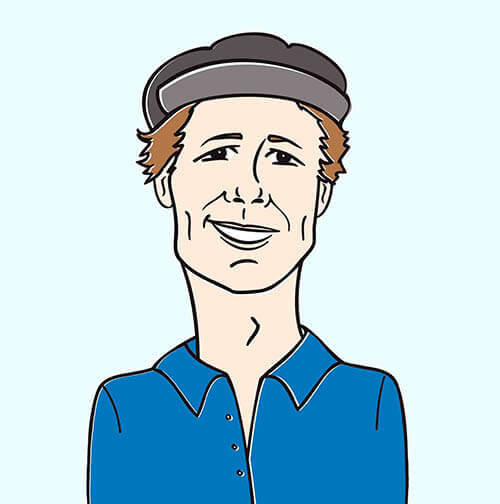 It’s Andy Gesner and the staff from HIP Video Promo, here to share the latest clip from a band we’ve had the privilege of working with several times in the past. The last clip we sent you from the redoubtable Minus The Bear was probably the most intricate and visually-stunning one they’d ever released. The “Knights” video, you’ll recall, split the screen into two mirrored halves, and played with viewer expectation, probability, and the very concept of symmetry. It was a neat summation of one aspect of the band’s personality: precise, mesmerizing, sonically and conceptually sophisticated.. But Minus The Bear is also a band that has titled an EP Bands Like It When You Yell ‘Yar’ At Them, and a song “I’m Totally Not Down With Rob’s Alien”. The Seattle quintet complements their ace musicianship with a terrific (and often goofy) sense of humor. If the “Knights” video spotlighted the group’s thoughtful side, “Throwin’ Shapes” puts the playful elements of Minus The Bear on bold display. The comic clip follows the adventures of two shorts-wearing geeks preparing for an air basketball game – and woe betide anybody who gets in the way of their training! The young man and young woman who play the roles of the contenders aren’t athletic in the slightest, but they sure are earnest about the game they’re about to play. We’re invited to chuckle at them, but by the end of the video, the pair has won our sympathy. Before talking about the clip any further, though, allow us to crow about the band’s accomplishments. When we sent you that “Knights” clip, Planet Of Ice had just been released – and while we had a good feeling about it then, we didn’t know it would be hailed as the jewel of the band’s already-scintillating discography. In a glowing review, The NY Times says Planet Of Ice “Splits the difference between mellow indie-pop and grand progressive rock”; All-Music Guide dubbed it the choice album in the band’s catalog; Alternative Press listed it among the best releases of 2007, exclaiming “Planet Of Ice finds the Seattle quintet more comfortable in their own skin, exploring looser, more organic arrangements and indulging next-gen guitar god Dave Knudson’s psychedelic side”. But the most complete reaction comes from NPR World Cafe, which raves “Minus the Bear’s brightly appealing indie-pop may be dispensed with remarkable technical prowess — complete with precise guitar work and complex time changes — but it also benefits from the band’s sweetly personal lyrics and flair for writing power-pop hooks” The band has toured the world in support of Planet Of Ice – Minus The Bear spent the winter in Europe, Australia, and Japan, and they’ll be back in the States in time to appear Coachella this spring. Fittingly, then, the “Throwin’ Shapes” clip begins with a shot of a marquee. But the camera doesn’t venture inside a theatre – instead, we watch the athletic preparations of a young woman. She puts on her sweatbands and slips in her teeth-guard, and proceeds to dribble an imaginary basketball (between her legs and behind her back, no less) on the hard concrete in front of the club. Her opponent is no less determined: cocky, he leaps in front of the camera and runs his thumbs along the elastic inside his gym shorts. The two contestants charge through the city streets toward each other, taking invisible practice shots, and crashing into pedestrians as they do. Finally they meet atop an abandoned factory – and their fiercely-fought game of air-ball ends with an unexpected twist. It is a terrific pleasure for us to have the opportunity to once again team up with Bekah Zietz and David Dickinson to bring you this good time of a video. The band will be on the road for many dates this Spring, including hitting all of the biggest festivals like Coachella in California, Bonnaroo in Tennessee and Langerado in Florida, so if you’d like to catch up with them for a video interview when they come to your area, please drop us a line. If you need more info, call Andy Gesner at 732-613-1779 or e-mail us at HIPVideo@aol.com. 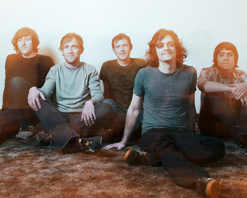 You can also visit www.SuicideSqueeze.net, or www.MinusTheBear.com to find out more about Minus The Bear.